Design Vision Studio is an award-winning design firm with an entire team comprised of professional Interior Designers who are also uniquely qualified specialists certified in DESIGN PSYCHOLOGY. With over 40 years of combined experience, we specialize in elevating the design of RESIDENTIAL, COMMERCIAL and HOSPITALITY properties. Homeowners, Savvy Real Estate Investors and Business Owners turn to Design Vision Studio to provide expert design guidance. You can confidently turn to our team for your design and remodeling project. We help simplify the process and successfully get the job done more efficiently and in a timely manner. Please contact us directly via our website or business phone number listed above. After years in the corporate world I followed my desire to express my creativity. Over 30 years ago I decided to strike out on my own. 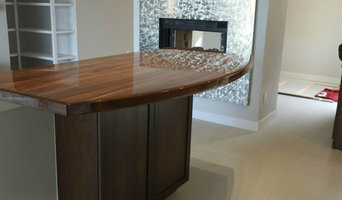 I established an interior design firm, Duende Designs, Inc. The firm successfully served clients in the greater Boston and New England areas. From my corporate experience I transferred the valuable assets of attention to detail and impeccable follow through. Duende Designs, Inc. garnered, several times, the Best of Show Award at the prestigious New England Home Show and was selected by many benefit events to set up show houses. For many years Duende Designs, Inc. was selected for the coveted "Designer On Call" program at the Boston Design Center. In 2000 my husband and I decided to relocate to La Quinta, Southern California, to enjoy year around sunshine and golf. 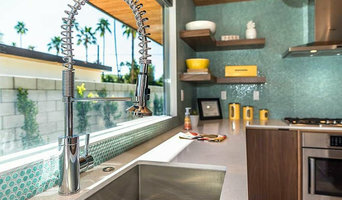 Duende Designs, Inc. with talent, experience and a refreshingly attitude free approach to interior design, quickly gained a West Coast following. Projects included interior design assignments at the Big Horn Golf Club,, The Hideaway, Indian Ridge Country Club, The Citrus, PGA West, Andalusia Country Club, Desert Horizons, Rancho La Quinta and many more. Duende Designs, Inc. clients, on both coasts agree, working with Carol Adolph is "just plain fun". Whether decorating a home, a weekend getaway, an executive office, a corporate jet, or a make-over to attract buyers, Carol makes the experience easy, economical and enjoyable. CARING - PASSION - FUN. 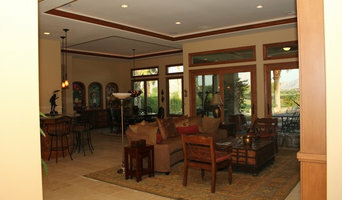 Palm Desert General Contractor - 4x Best of Houzz!